I have to admit, I was pretty sour about trying this spot after it replaced one of my favorite spaces and restaurants, Rivabella, which is sadly no longer. But I came randomly with my girlfriends and I was very pleasantly surprised. Starting from the golden pineapple lamp stands to the dry ice cocktail with a pink hibiscus flower, I was in love before we even sat down to eat. They also gave out free sake shots and had an amazing DJ who set the scene for a fun girls night out after. We ordered lots of yummy food like the seared salmon sashimi, the baked cod, the shima roll, and hanabi (aka spicy tuna on crispy rice). The cocktail I'm obsessed with was the pacific scorpion, which was uber cute and delicious but I don't recommend drinking more then one as it was quite sugary. If you didn't already know, I am obsessed with Greek food, and Mediterranean food in general, but Los Angeles, unlike Chicago, has very few Greek eateries. Taverna's is very well known and definitely worth the trip to the Malibu country mart. I of course had to order the saganaki, which is basically cheese set on fire, so no question it's a dream come true; at least my dream come true. I also love the lemon chicken (souvlaki) and salmon, but honestly everything here is so yummy! Full disclosure, my main reason for trying Gwen (as well as most restaurants) was to check out the beautiful scenery. 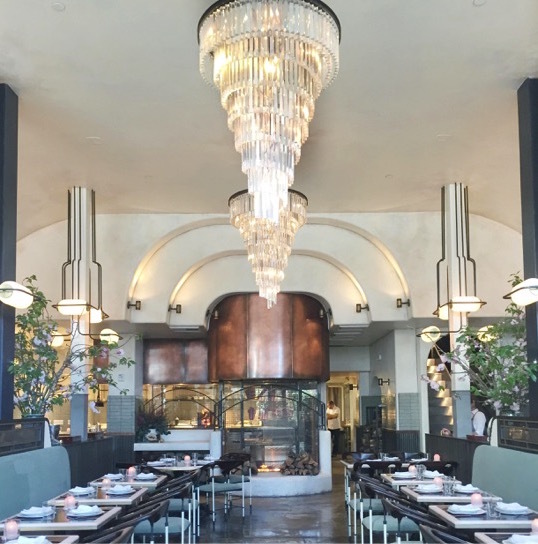 It's designed in full art deco era inspired decor from the high ceiling moldings to the vintage gold rimmed glassware. They have a bar and patio, as well as butcher shop in addition to the prefix menu dinner service itself. I only came for drinks because the menu is supper meat heavy and expensive but I would recommend anyone who really loves meat try it out as a fun treat. The bar has some wonderful cocktails and a great à la carte menu for happy hour or before heading somewhere else. At the bar I'd recommend the champagne variety cocktail and unfortunately I can't remember the drink I myself ordered but it was pretty and delicious, and had purple berries on top. I also recommend the pretzel bread, charcuterie plate and trout to nibble on. This classic Los Angeles eatery will always be on my top supperclub list. When I walk in it's as if I've been transported back to New York about 50 years ago. Places like this in LA just don't exist since they don't seem to value tradition or keep anything longer then five years in this town! As for what to order, the chicken parmesan or the veal parmesan is an ABSOLUTE must! Other items not to miss; the spaghetti carbonara, the Nikki chopped salad, the shrimp diabolo and the tiramisu. I know I've been here five million times since it opened two years ago but I just can't stress how delicious this place is!! The pasta dishes dalla forma (aka spun in a cheese round and served hot into your plate) is the absolute cheese and pasta lovers dream. 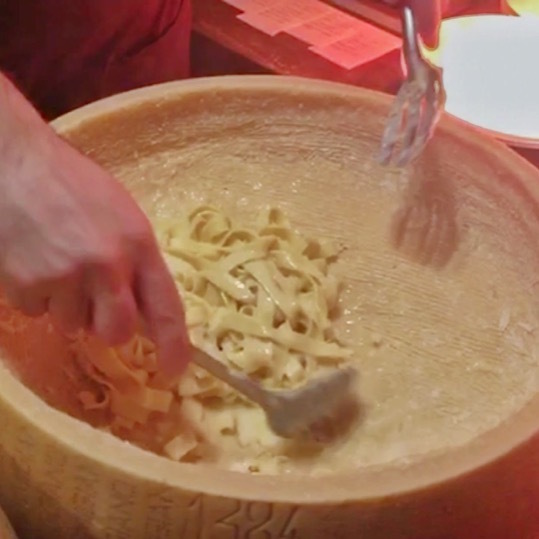 All four dalla forma dishes on the menu are spectacular, however, because I don't eat red meat and am obsessed with truffle, I always order the truffle tortellini and cacio e pepe (in that exact order). The pizza and cheese plates are also very delicious but the pasta dalla forma is always my main priority! 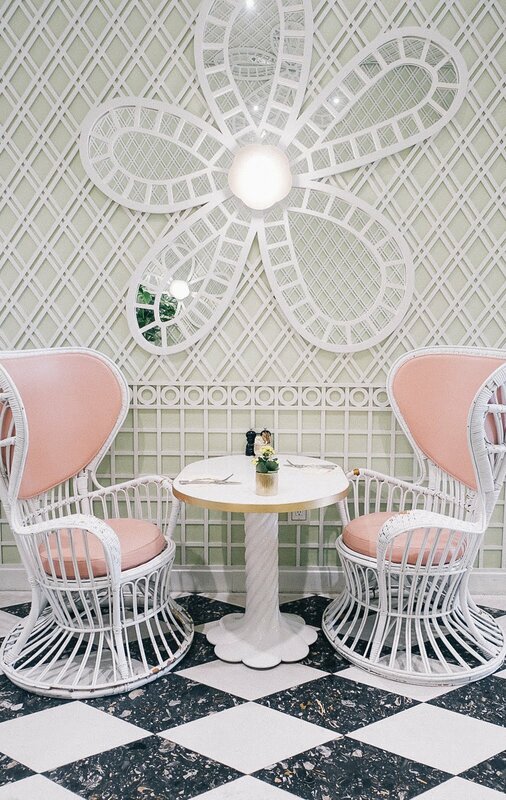 Fresh from NYC and part of the brand new Dream hotel in Hollywood, this new to LA hotspot had me at rosé in the ladies room. Yes, you read that right girls, go ahead and powder your nose because it's just economically sensical. Aside from that the restaurant was a very fun, young Hollywood vibe. I did like the atmosphere and the food was good but didn't leave much of mark on me. I would recommend trying the grilled cheese, smoked bacon and soup dumplings for sure and we also liked the tuna poke wonton tacos. It's something I'd recommend if you are doing before a night out and perhaps with a smaller group since the portions are smaller. I had been meaning to stop at this uber instagrammable bakery from San Francisco and finally made it! It's very cute and I tried their popular "cruffin" a croissant and muffin hybrid that's filled with a different flavor every day. I thought it was good but not really something I'll crave and need to get right back to. But they had a lot of other options and I'd honestly go back just for the neon sign wall itself. This is my newest sweet-tooth obsession, going back to basics here with delicious little Swiss chocolates AND ice cream. I've only had the chocolates, thank God, but I've already heard amazing things. My favorite was the pythagoras milk chocolate with hazelnut and the hazelnut cream. I also loved the salt and caramel and tried a bunch of others that I can't remember but I know they were all absolutely delicious!! And I found out of course, they are from my hometown of Chicago! I must admit, I was quite hesitant to try this place because quite frankly it didn't look like the type of Jewish deli I'm used to. But despite how modern and gimmicky it seemed, I did love the bagel and lox I ordered, as well as the black and white cookie. And I heard good things about the corn beef sandwich from my friend who swears it was just as good as some of her favorite delicatessens in NYC. 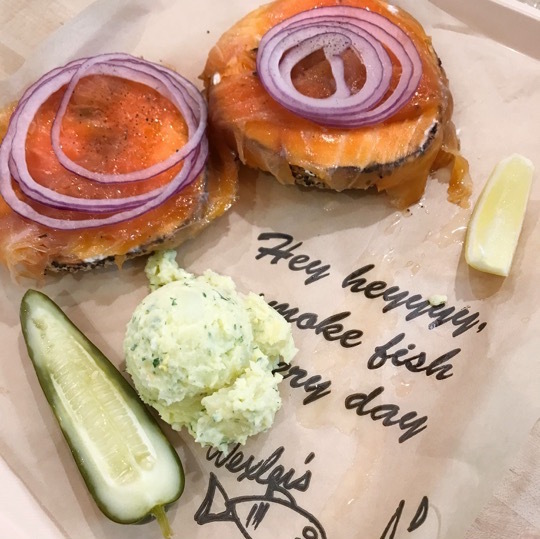 So I think I'm clear to give it another go, only when I'm not obsessing over my usual lox cream cheese on a cheese bagel at New York Bagel of course. I had heard about this molecular gastronomy spot when it first opened about two years ago but finally got around to testing it out the other night. It's decorated like an All Saints store in various shades of dark grey and exposed brick. 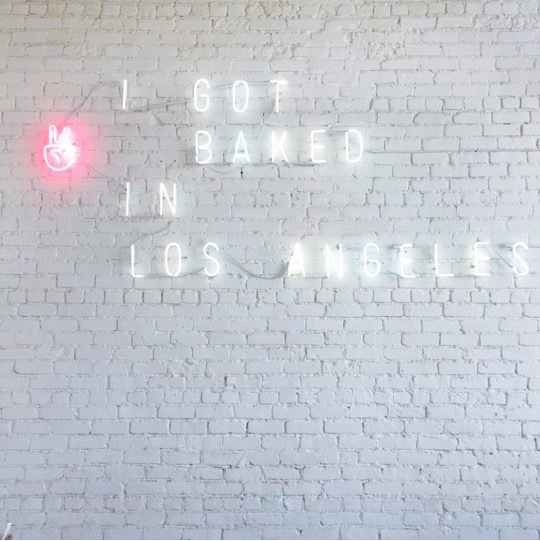 The spot is very trendy and cool, definitely fit for the stretch of Melrose avenue its located on. The food was good, but I wish I had tried more things on the menu since it's hard to tell what's a hit or miss since everything is altered in some way. I did really like the smoked mozzarella, charcoal and salt potatoes, and egg yolk gnocchi. One thing I really didn't like was the kale pasta; lesson learned - just stick with the real deal when it's comes to carbs. 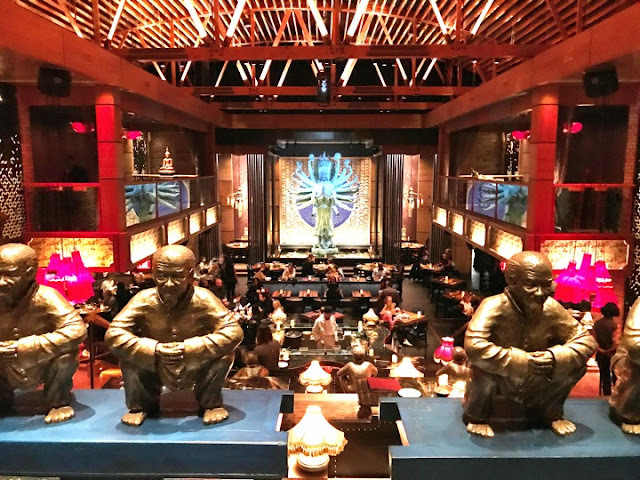 I would highly recommend this spot to any adventurous foodies and I'd consider going back to try other things on the menu. Another part of the new Dream hotel in Hollywood and right next door to Beauty and Essex, Tao delivers the same delectable Asian fusion menu as its other well known locations in New York and Las Vegas, but the vibe is absolutely stunning and unique. I also loved the food and felt as if I was in Vegas about to rage after even though I went on a Sunday night. I loved the tuna pringles and could have eaten them alone all night! I also loved the drunken pad Thai and the lobster wontons. 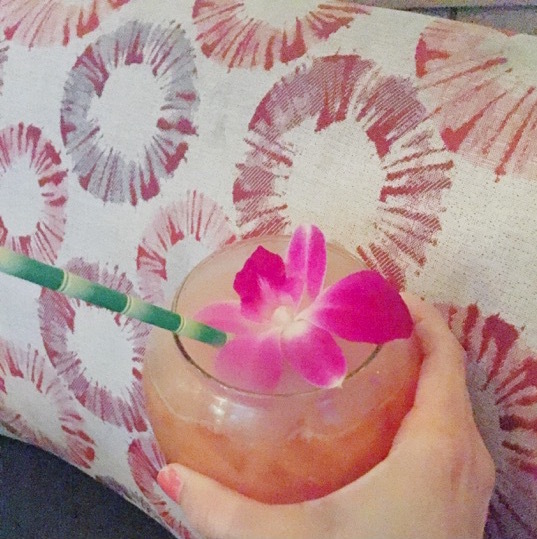 This is somewhere I would definitely head back again for a fun girls dinner or night out and highly recommend you try whether you have been to the other locations or not! Another spot on the west side I had been meaning to try and finally did. It's meat heavy and so once again I can't really speak for the menu on a whole but I did love everything we had including the ricotta gnocchi, the branzino, the asparagus and the delicious chocolate budino for dessert. Everything was very tasty, the gnocchi of course was my favorite but I would certainly recommend this place to anyone in the area, very good food and a wonderful ambience that is hard to find in Santa Monica. An oldie but a goodie, Sugarfish never disappoints. 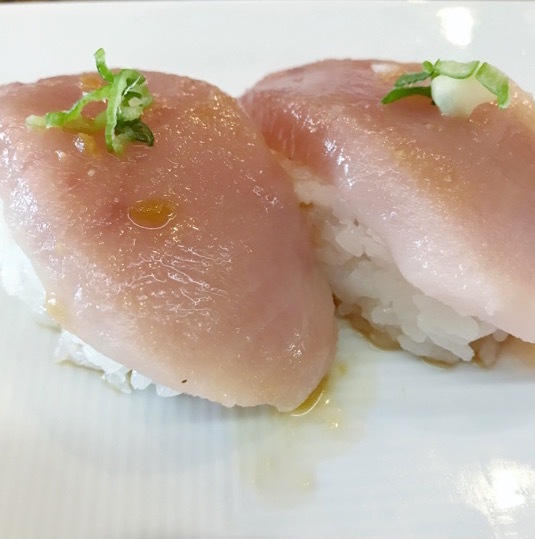 It's a great place for all sushi lovers, even the ones who haven't quite become accustomed to eating sashimi and nigiri sushi (which is when the fish is served raw by itself or over white rice). It's also got a lot of delicious hand rolls and I guarantee that if you currently only like sushi rolls, this will change your sushi game quick. It's a prefix menu and trust me, literally it's called that on the menu, it is the best way to go. You can also order à la carte but I'd only recommend that if you're still hungry after the prefix. Insider tip, if you go during lunchtime it's much easier to get a table and a little cheaper then dinner for the same prefix menu. You can also order take out to avoid the long lines but I will say it's so worth it to grab a drink nearby and wait until they can seat you for dinner. They also now have another restaurant called KazuNori which exclusively sells hand rolls and has a location in Westwood and Downtown LA, as well as one in Santa Monica apparently opening soon. I definitely plan on checking it out ASAP!